A friend of mine has been going through a particularly bad time over the past several years. This friend had been a single point of focus in a lawsuit, while the many, many people who were originally involved in (READ: took credit for) the issue being scrutinized evaded prosecution. (The government has a way of enticing you to save your soul. Perhaps a topic for a later post to be titled "Accountability: Is It In You?") But in my opinion one of the most difficult aspects had to have been the isolation as friends were unable to speak to each other for the duration on "advice from counsel". This past weekend there was a celebration to say goodbye to the past and welcome the next chapter. It was difficult for some to travel at the last minute, but they were clearly there in spirit. And many of those who had been warned away over the past several years took great effort to be there. In fact, they had always been there. But this particular night they got to throw their arms around each other and embrace the future. It was a truly joyful occasion. Hindsight, as they say, is 20/20. Back when this all started we were blazing trails and executing a vision. There was no roadmap. Nothing that had gone before showed us the way. While it opened the door for tremendous creativity, it also allowed outsiders to criticize. Even prosecute. But while the past few years have been difficult for all concerned I have to believe there is a reward at the end of this particular road. Specifically … clarity. 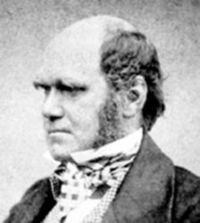 Darwin is credited (and reviled) for his theory of natural selection. In the context of recent events and the people involved, and with regard to the idea that nature is constantly improving on it’s previous iteration, this wisdom is particularly appropriate.